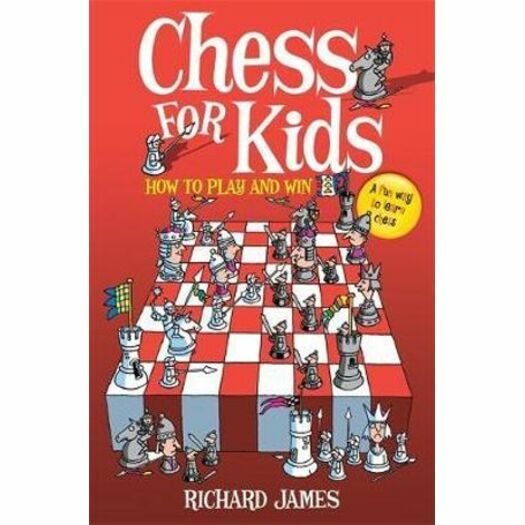 This is the perfect introduction to chess for children from the age of seven upwards. The book contains 30 short lessons, starting with learning about the board and the pieces, then the moves of each piece in turn, then the vital concepts of check, checkmate and stalemate, and finally basic strategy and thinking skills. Quizzes and puzzles reinforce what the children learn. The book uses the characters of the 7-year-old twins Sam and Alice who are always arguing and fighting. They decide to join the army where they are told about an impending invasion of aliens from the planet Caissa. The outcome of the invasion will be decided by a game of living chess. During their lessons they learn about the battlefield and the different types of soldier and get to play the part of each in turn.